“Put a cork in it!” is what some of us might say to adults who are too noisy for our own comfort, but to mention something like that in a disgusted or irritated tone is not a good idea at all when you are faced with a crying infant. Is there any other way to go about it? 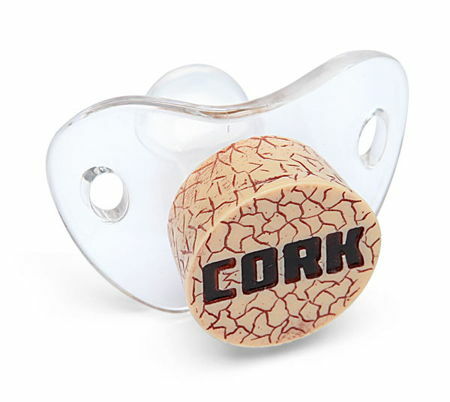 Why not pop in the $9.99 Cork Pacifier and get the job done? Not only would it help your child get plenty of photos taken along the way for future slideshows, it will also be able to keep the little one nice and quiet. The Cork Pacifier is made from silicone and is BPA-free, where it will not only calm the little one, but bystanders as well who might break into a smile after realizing what is hanging off at the edge of your baby’s mouth!